Hello everyone! 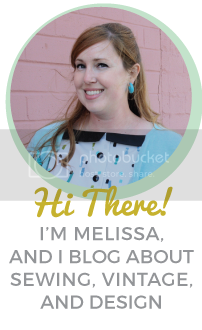 This post is coming a little late this week, but hey, better late than never, right? I’ve been going for walks on the beach after work lately, which are good for me but have made me pretty exhausted by the time I get home and not so inclined to work on blogging. I’m hoping I’ll get used to it soon and will start having more energy. 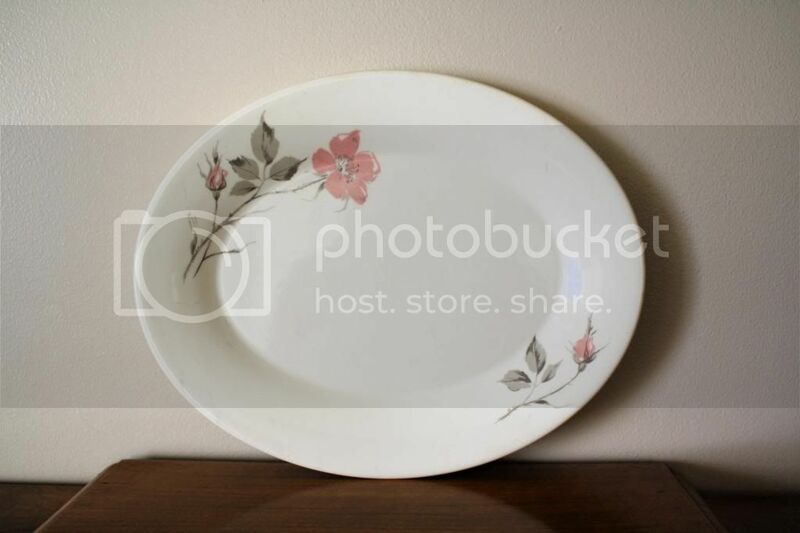 My thrifting break last week went well- I went a whole week without so much as setting foot in a thrift store! I finally broke down when we made egg salad sandwiches at work and I had to run to the thrift store next door to find an egg slicer. I found one, but I had to spend at least $5 to use my credit card, so I grabbed a few odds and ends to reach that amount. So you see, I was forced! Ha Ha. 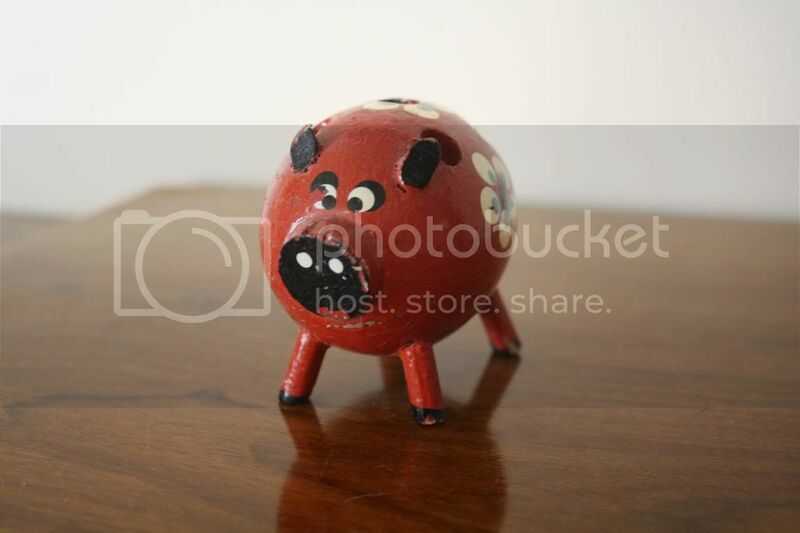 I couldn’t resist this colorful little pig for .90. The holes in the back make me think it’s a pencil holder. 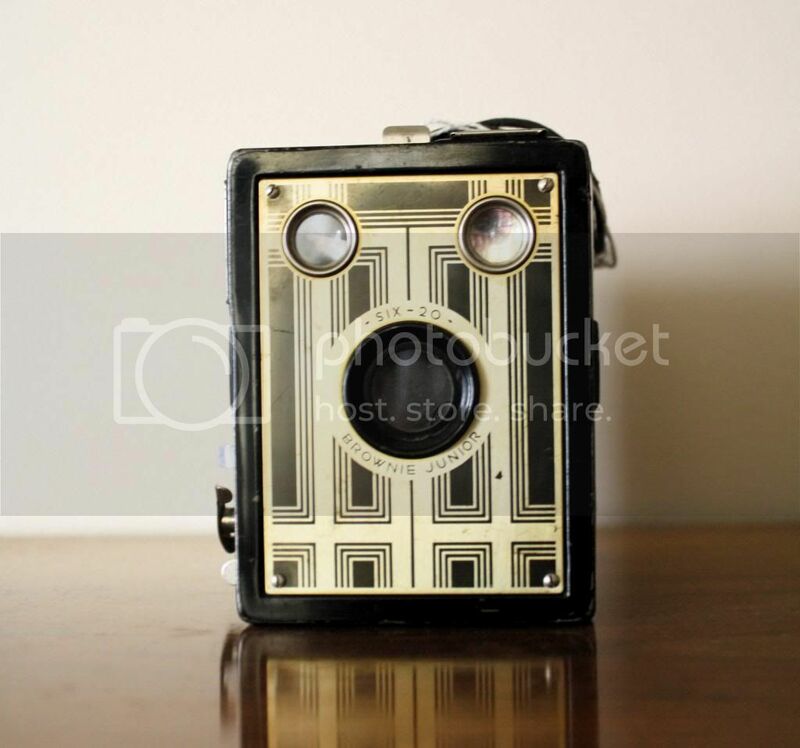 My mom picked up this vintage Brownie camera for me. It’s in the space right now, but I wouldn’t be too sad if it didn’t sell. It would look cute on a mantel or as a bookend. 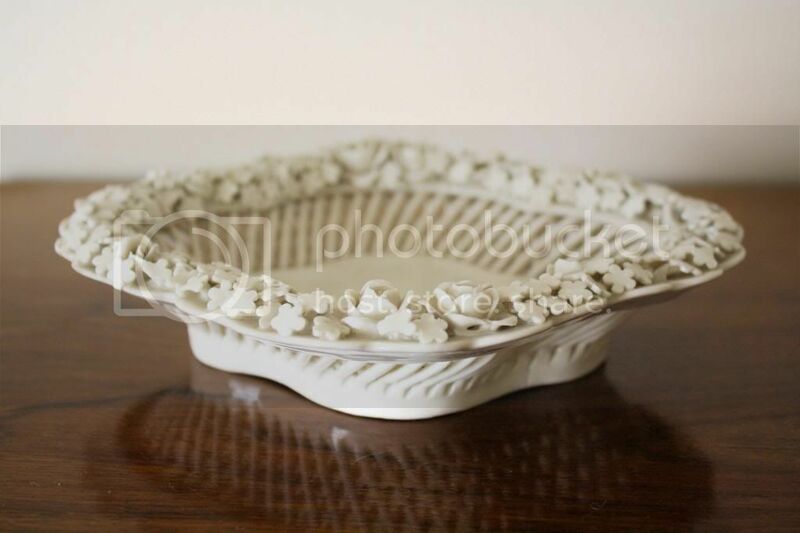 A porcelain dish with an intricate lattice and floral design. 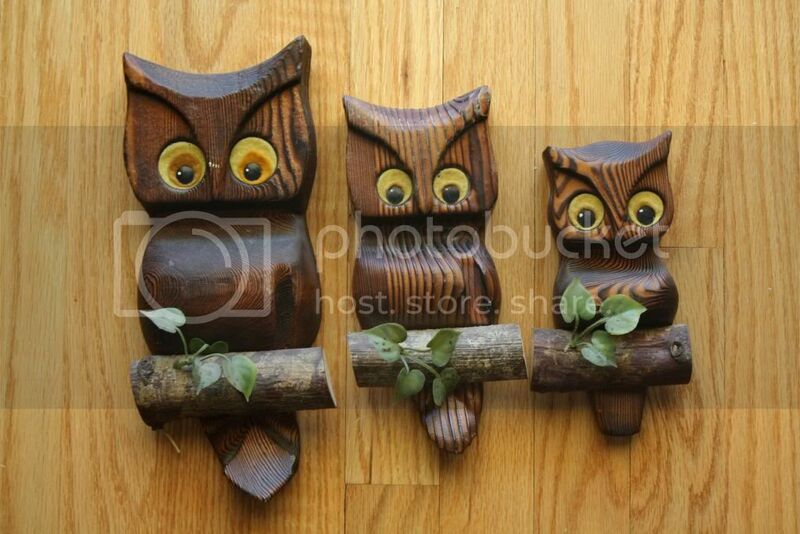 How cool are these three wooden owls that Phillip found? 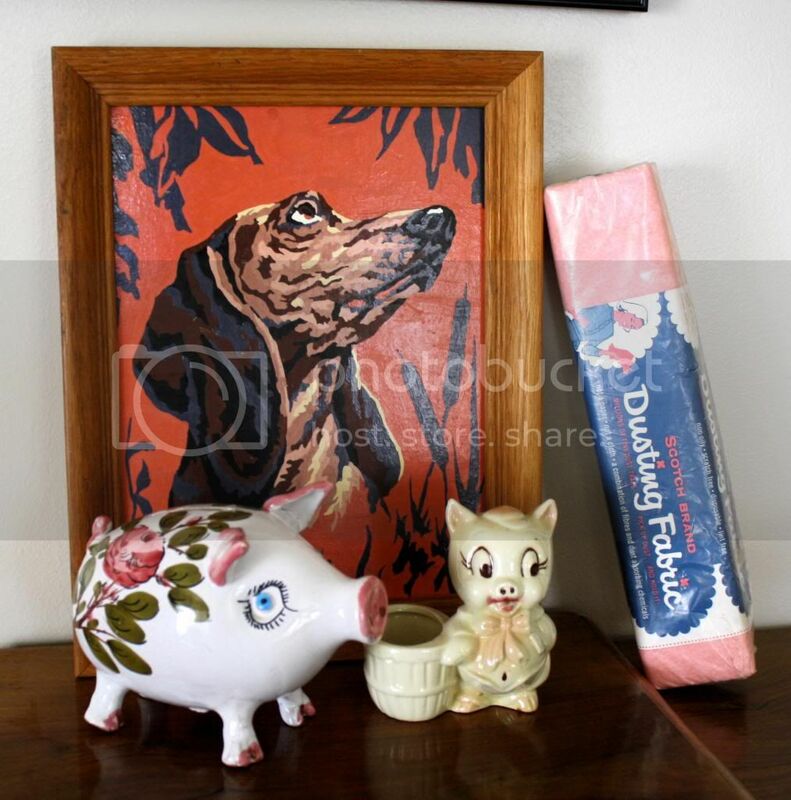 The dog paint-by-number has a sort of drama to it, no? 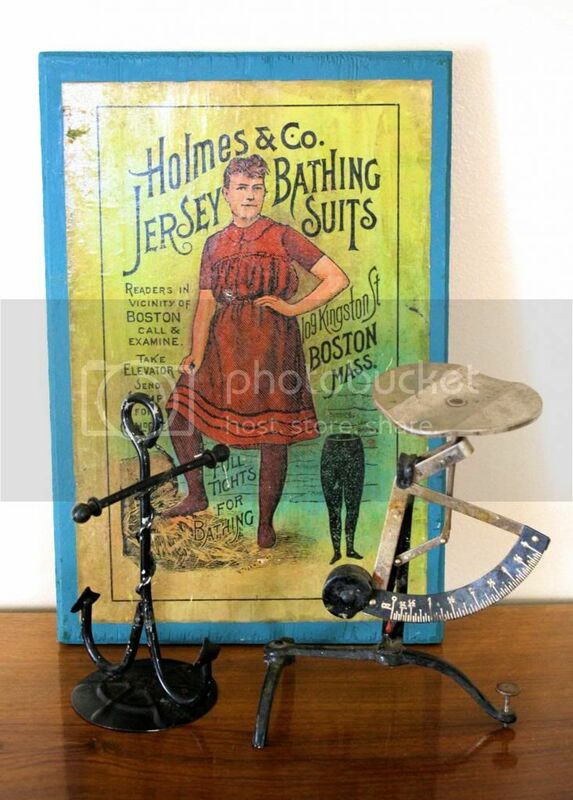 An old-fashioned advertisement, an anchor jewelry holder, and a postage scale. 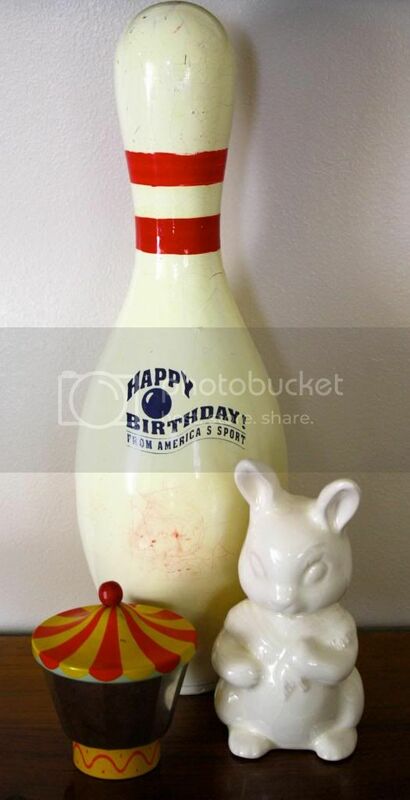 A bowling pin, a bunny, and this cool little toy. 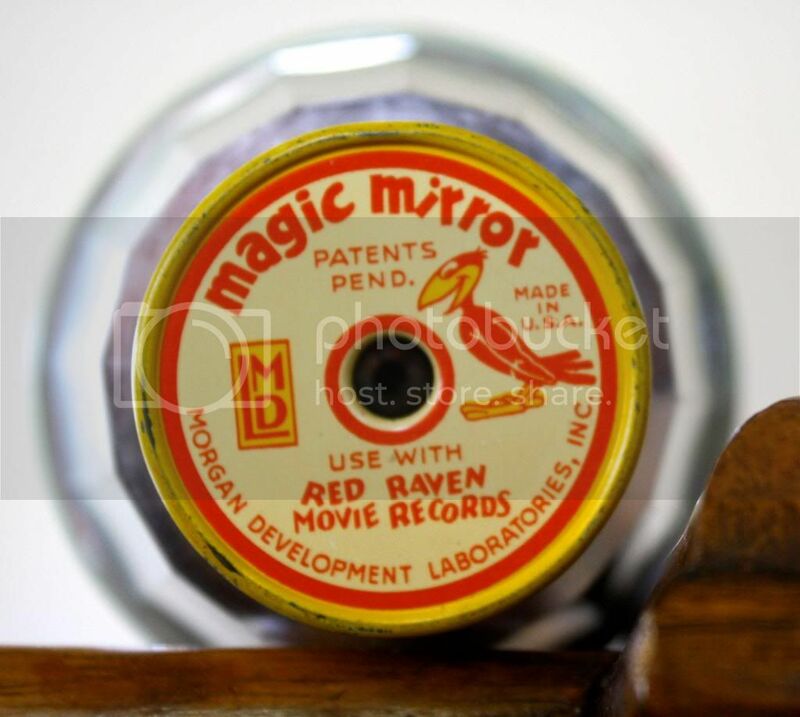 We researched it and learned it went on a record player, where used with “Red Raven” records, it would reflect a picture that would come to life as the record spun. Phillip already sold it on Ebay for $50! Well, that concludes my thrifty finds for this week.